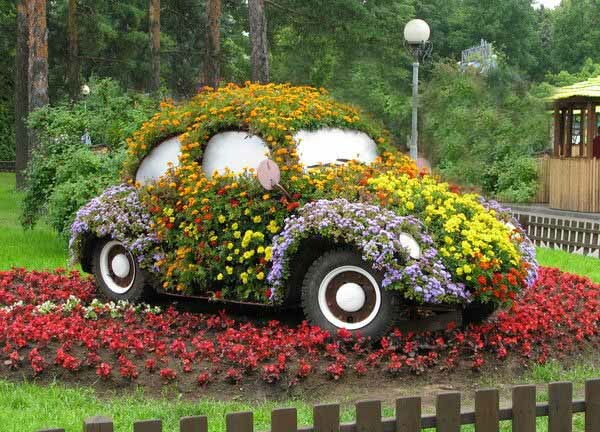 Creative garden decorations, made with old, broken or useless items that clutter your sheds, save your money on backyard decorating, add a personal touch to garden designs and offer fun recycled crafts that allow to bring more beauty and happiness into your life. 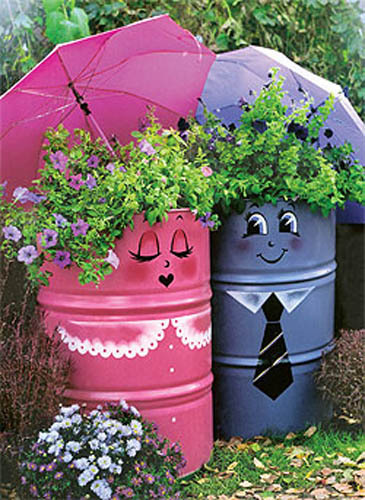 Simple, charming or cool recycling can turn junk and clutter into treasures, creating beautiful, relaxing and welcoming outdoor rooms and gardens. Recycling for handmade home and garden decorations reflects today’s focus on saving the environment and celebrating original eco friendly designs. 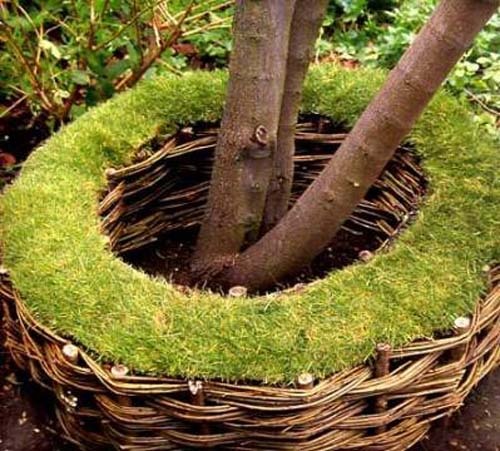 Handmade home garden decorations are excellent ways to explore recycling ideas and use your resourcefulness and creativity for personal and unique interior and backyard decorating. Recycling ideas, reducing waste of resources and personal consumption, protecting the environment and using green technology for house design and decorating are hot topics. People are getting into recycled crafts and diy projects for creating beautiful eco friendly products for modern homes and backyard decorating. 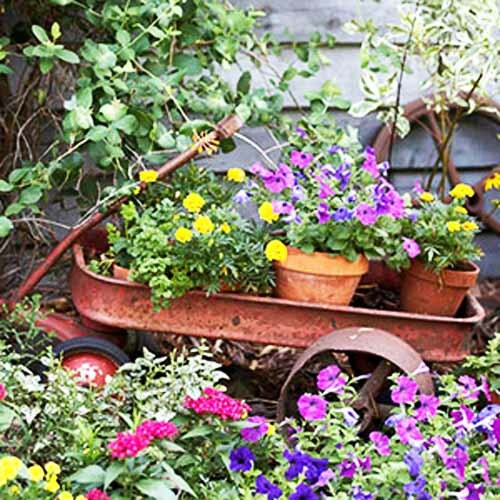 Home and garden decorations that recycle wood pieces left after your home renovation, old car tires and car shells, metal cans, old sinks and furniture, broken gardening tools and plastic bottles are great for transforming junk and clutter into cute items for eco friendly backyard decorating. 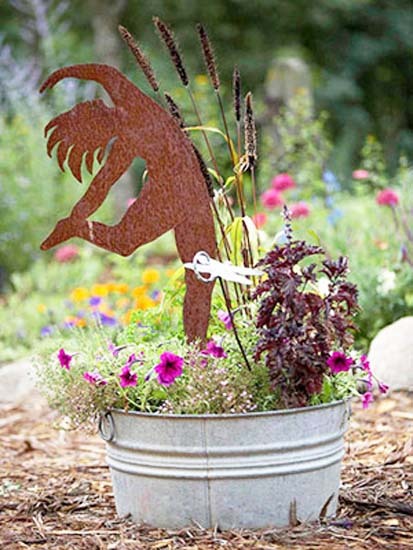 Recycling ideas for making garden decorations are challenging and fun. 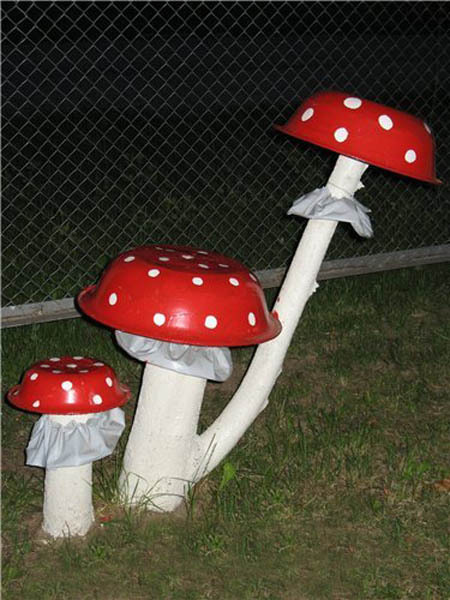 Finding material for recycled crafts, DIY and art projects are interesting and fun activity, that help you unleash your creativity and come up with unexpected, original and surprising backyard decorating ideas. Green living means cutting the clutter and waste, and restoring simplicity of our lives. Reducing waste and recycled crafts are supporting green living, celebrating sustainable designs and materials. Simple green living connects us to the nature and people around us, bringing green technology into eco homes and creating a friendly atmosphere. Discovering ways to reduce, reuse and recycle junk and clutter items supports the environment and simple lifestyle, teaching kids to protect the natural environment and be creative. Recycled crafts and handmade garden decorations are perfect for simplifying our life and realizing that green living is an economical and pleasant. Simple and attractive recycled crafts and handmade home and garden decorations teach to appreciate simple skills and the natural wonder around us. Green living is about simplicity and inexpensive healthy living, redusing consumption and lowering bills, returning to traditional, handmade and natural products. Charming handmade garden decorations from this collection may inspire to support geen living concepts and simplify your life by designing items for your home and backyard decorating, reusing and recycling junk and ckutter that exists in your home, saving money and having lots of fun.